This is a film that the filmmakers would like audiences to cry about – not cry as shout about but literally bawl about. 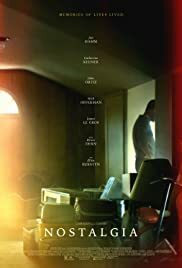 Written by Alex Ross Perry and directed by Mark Pellington (two mediocre movies, ARLINGTON ROAD and THE MOTHMAN PROPHECIES), NOSTALGIA follows the lives of people connected through loss and analyzes the way people find love and solace in memories and objects they share with one another. The film opens in a diner setting where the audience is introduced to an insurance agent, Daniel (John Ortiz), who is obviously a very nice guy from his conversation with the expecting waitress serving him. The next scene sees his visit to an elderly Ronald (Bruce Dern) who he convinces that his collection of ‘nostalgia’ might contain great monetary value. As if the audience is not already reminded of Daniel’s abnormal good nature, Mr. Ortiz is given a third chance to show himself in the home of another family where he insists that every story he hears is a new one. This is one of the main flaws of the film that already runs too long at two hours based on already on a sombre subject. Repetition. The camera also lingers on the detailed movements of the characters, as they walk to the car, as their faces twitch or their lips breaking into a smile. The film can easily be reduced by 30 minutes. The story contains many characters that are worthy of tearing at the audience’s heartstrings. Besides Daniel, there is Helen, who has lost 30 years of nostalgia in a fire. Her story is connected through Daniel, who is also her insurance appraiser. Another sob story and the main one that brings the film to its teary climax is that of Will’s family. 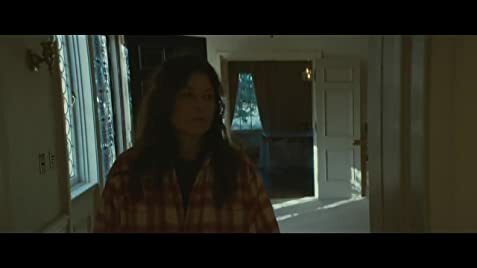 Will is Donna’s (Catherine Keener) brother. Donna’s daughter (Annalise Basso) is killed in a car accident. If one does not weep during one story, one can anticipate that there is another sob story around the corner that will try harder. All of these make Pellington’s film annoying and a total bore. One wonders at his intentions at making a film like this. Worst still, Pellington delves into pretentious territory. A number of segments are linked by flashes of light like the opening and closing of a camera shutter, if that is to mean anything. If being preachy is not enough, the audiences is also given a dose of an essay on love and its power to heal. Another flaw of the film is Pellington’s fondness of going into lengthy verbal monologues which again end up too preachy and artificial. One segment has a character ranting about nostalgic artifacts compared to social media. The character complains that in the past memories could be obtained from written notebooks or diaries but now in the age of electronic social media, all is lost when someone goes. This is not true, as more can be stored on devices like icloud (an unlimited number of photographs and documents). All one needs to do is to pass down the password, or if not, a tech savvy expert could likely unlock the nostalgia there. NOSTALGIA ironically will end up a forgettable film, unless a memorable one for all the wrong reasons.